★HOLY COOL WHITE LIGHT: These decorative LED lights will create a holy pure atmosphere around and bright up every corner of your house. 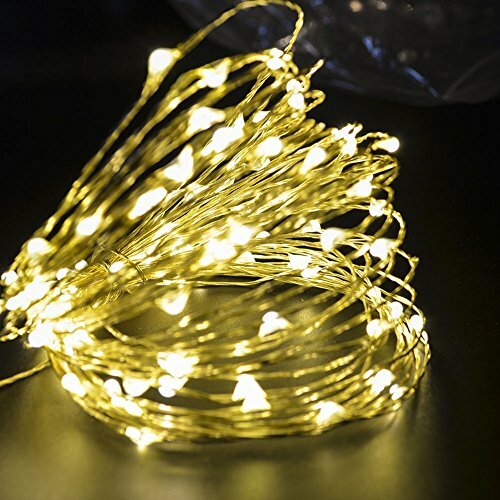 The 100 LED 10m/33ft copper wire strings is long enough and allow you to decorate your house in a wonderful mood like never before! 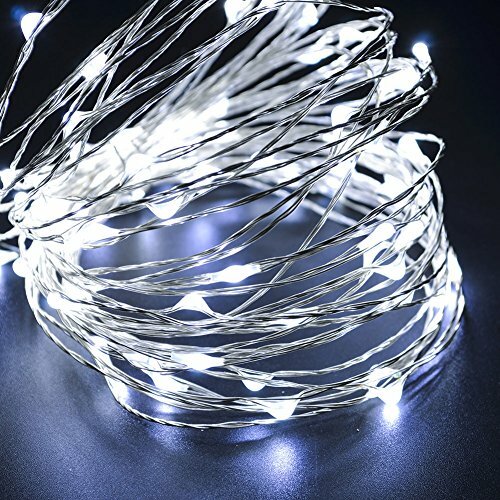 ★ENERGY EFFICIENT LED STRING LIGHTS: 12V DC safety plug operated, long life span, low heat emission, low working voltage, strings are made from premium copper wire and 100 pieces individual and low temperatures LEDs. You can safely touch it even after many hours of usage. ★MOLDABLE SHAPE: The CrazyFire Party String Lights, thin and flexible, easy to be bended into any shape that you desire around plants, signs, furniture and almost everything else. Just start a fun and easy DIY light decorative game for with your family and friends! 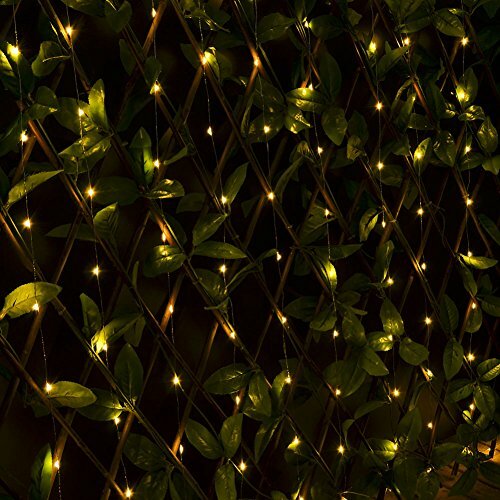 ★WATERPROOF COPPER LED STRING LIGHTS: Copper wires are Water-resistant, so there is no any problem to use it in the rain. It is tiny size so easily to hide away and disappear from the scene. NOTE: the plug is not waterproof so do not expose it to water. 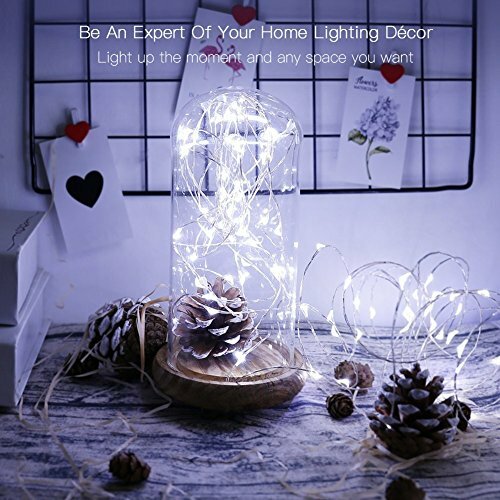 ★GET MORE THAN A STRING LIGHT: These copper string LED lights are suitable for any occasion and decoration purpose that comes in mind. Ideal for any kind of home décor, Valentine's day, Wedding, Halloween, birthday parties, anniversaries, Easter, DYI crafts and more! Just contact us for refund or a new one if encounter any unsatisfied problem of our Copper LED Fairy String Lights!